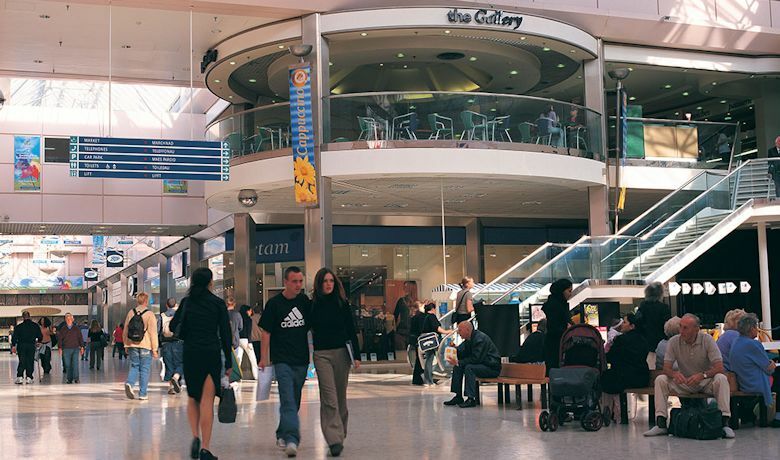 Situated near to the Victoria Quay in the Maritime Quarter this modern shopping centre has most of the major fashion stores within the complex along with many other big names that you will see in most high streets. During your shopping trip if you fancy a break there are several places to sit down and relax with a coffee or something to eat. The centre has pay and display car park for over 500 cars and is operated by the local authority. There is also the main Swansea bus station adjoining the centre which serves the surrounding area. For those arriving in the city by train the shopping centre is a 10 / 15 minute walk away.